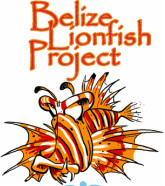 The Adopt A Reef Program is open to anyone that has an interest in conserving the Belize Barrier Reef and associated marine ecosystems! 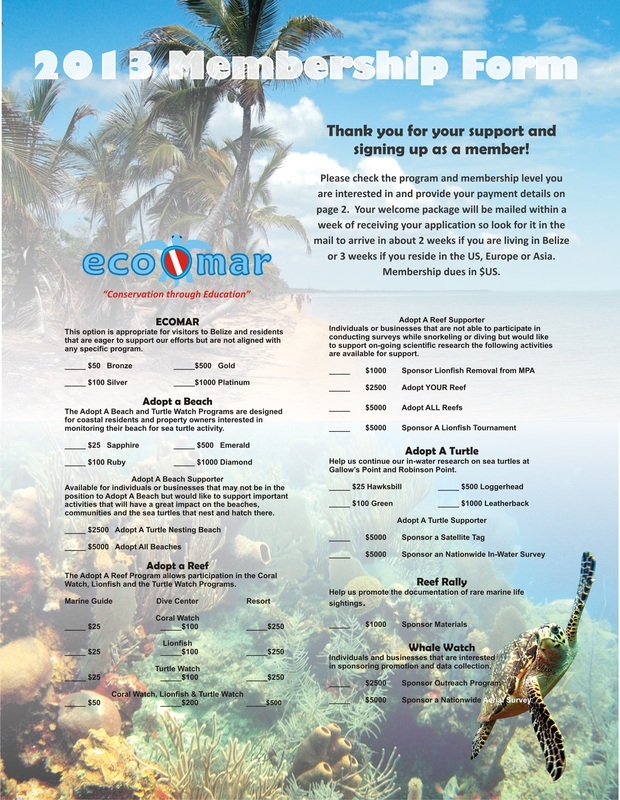 Three of the programs coordinated by ECOMAR have membership categories under the Adopt a Reef Program: Coral Watch, Lionfish and Turtle Watch Programs. You may only want to participate in one program or all three! When Adopt A Reef you will submit regular reports on your observations when visiting that site. Dive centers are encouraged to adopt more than one reef if regular reports can be made on the adopted site. If you have a special reef that you would like monitored Adopt YOUR Reef and have scientists come in and regularly monitor your reef. Data will be collected on fish and coral abundance, coral bleaching, and observations of sea turtles and other unique marine life will be recorded. Monitoring expenses per session cover 3 days of monitoring by qualified scientists and the data will be contributed to international databases. 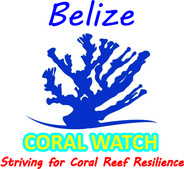 The Belize Coral Reef Monitoring Network launched the coral bleaching monitoring program in 2008. 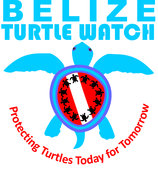 Each year during peak bleaching months members from throughout Belize their biologists to monitor reefs within their communities. 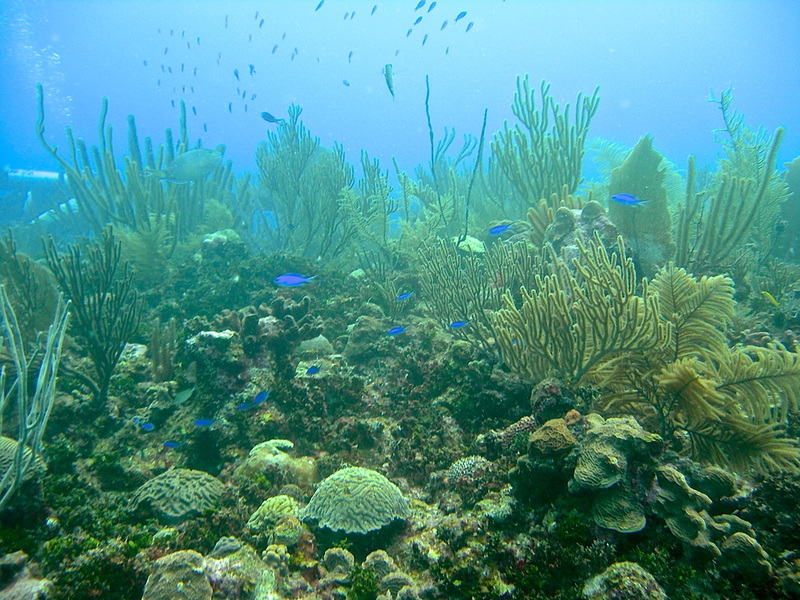 A goal of the program is to identify resilient reefs, or reefs that may bleach but recover quickly. An additional goal is identify what factors contribute to resilient reefs and provide protection for the reef if not within a marine protected area. Nationwide coral bleaching monitoring should be conducted every month to record bleaching levels during a bleaching event. 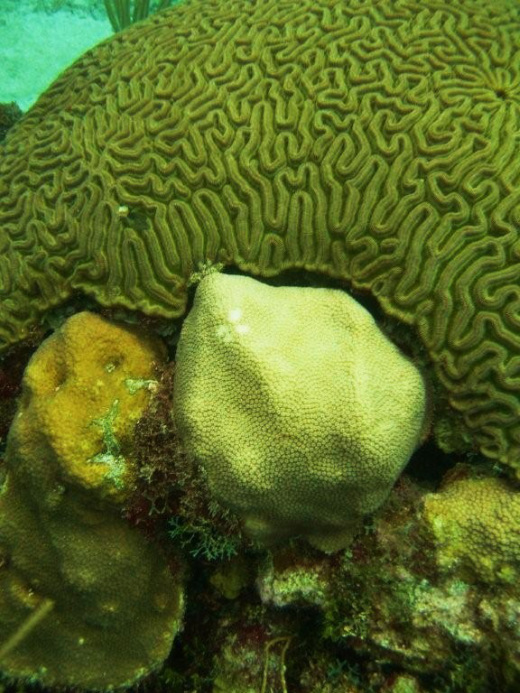 It is an amazing feat of collaboration and cooperation that results in valuable baseline data on coral reefs in Belize.